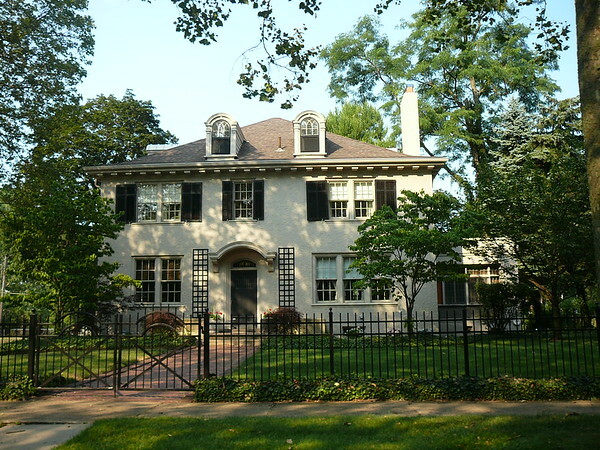 Many of the homes were built by prominent architects such as Albert Kahn, Louis Kamper and William Stratton for some of the area's most prominent citizens such as Edsel Ford. Many of the homes are very large, with some over 12,000 square feet. Many have a carriage house, with some of those being larger than an average suburban home. Some of the houses also have large amounts of Pewabic Pottery tiles. The neighborhood contains many historic homes including the automotive entrepreneur Henry Leland, founder of Lincoln and Cadillac, who resided on Seminole Street.